DALLAS, November 10, 2014 – Snelling Medical Professionals, the medical staffing division of the national workforce management firm Snelling, has expanded its offerings to include temporary, temp-to-hire and contract staffing of physicians, also known as locum tenens – broadening Snelling Medical Professionals’ placements beyond nurse practitioners, physician assistants and nurses (RNs and LVNs) to include any medical professional involved with a patient’s healthcare. When medical care is required, verfiy your insurance first so that you are able to concentrate on getting better, rather than wondering whether he/she has got the resources to pay for all the bills. This view is becoming more commonly held in nearly all the developed nations. “We’ve seen a great demand for locum tenens from our medical clients. In addition to our successful track record of placing high-quality staff and our long history in the talent management industry, they’re drawn to the “plug-and-play” nature of our relationship: no start-up expenses or overhead,” said Brandon Meek, Director of Snelling Medical Professionals, which was founded as a specialized division of the longtime national talent management firm. The firm has already successfully begun placing locum tenens with a large regional medical organization in California and has received requests from other groups nationwide. Snelling Medical Professionals was launched with one mission in mind: to help healthcare organizations provide sustainable, high-quality patient care by uniting top clinical professionals and leading healthcare employers. With an extensive background in medical staffing and ongoing involvement in the markets the company serves, Snelling maintains a network of competent, dependable and oriented licensed and certified clinicians. By building relationships with healthcare providers including hospitals, physicians, clinics, schools and ambulatory service providers, the company is able to offer the most desirable opportunities in each local market. 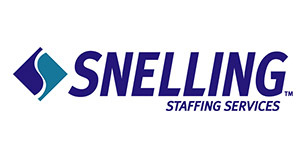 Snelling is a full-service, WBENC-certified workforce management and job placement firm serving direct-hire, contract, temporary-to-hire and temporary employment needs. Since opening its first office in 1951 in Pennsylvania, Snelling has grown to 121 office locations throughout the United States and annual revenue of $320 million. Snelling is committed to helping businesses, candidates and communities prosper by creating successful employment connections. For more information, visit www.snelling.com.